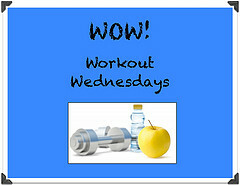 I can't believe it's Wednesday already! Beach volleyball rec league started this week, and signing up for both women's and coed doubles may have been a mistake. Two hours of beach volleyball doubles two days in a row is a little rough on the legs, and I had to skip my run yesterday. But it's kind of hard to complain when I get to see this after work. But enough about working out, let's talk about eating! I've done What I Ate Wednesday/WIAW posts before, but I've never done a traditional day in the life post. 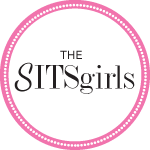 So today I'm joining the What I Ate Wednesday and Workout Wednesday linkups to share everything I ate on a normal day (this Monday). Prepare to be amazed by the sheer volume. I almost always eat my breakfast in front of the computer at work. Who really has time to eat before they leave the house? 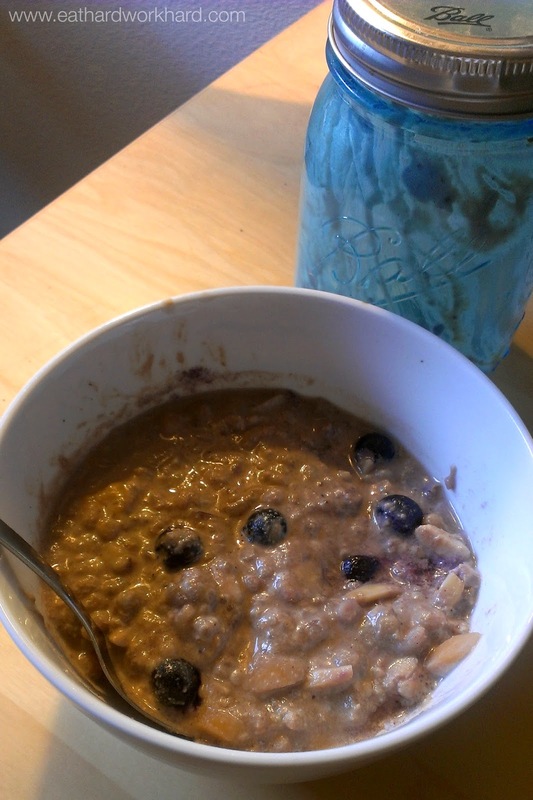 This morning, I was at work by 7:30 so it was really nice to have a mason jar of blueberry banana barley ready to grab, heat and eat. Oh and I also had a big thermos of coffee with almond milk. I'm addicted. 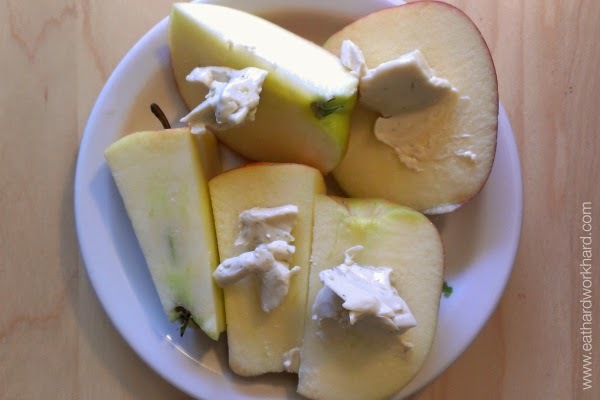 I was getting really hungry by about 11, so I sliced up a gala apple and a wedge of garlic herb Laughing Cow light cheese. Not the most photogenic combo, but pretty tasty. I usually have lunch late but I had a 1 pm meeting, so I ate around 12:30. I love that we have mixing bowls at work, because regular bowls just don't cut it for my giant salads. This one had Trader Joe's Power to the Greens mix, roasted cauliflower, Brussels sprouts, and Avocado Greek Yogurt Tofu, tossed with a little bit of olive oil, apple cider vinegar and garlic salt. 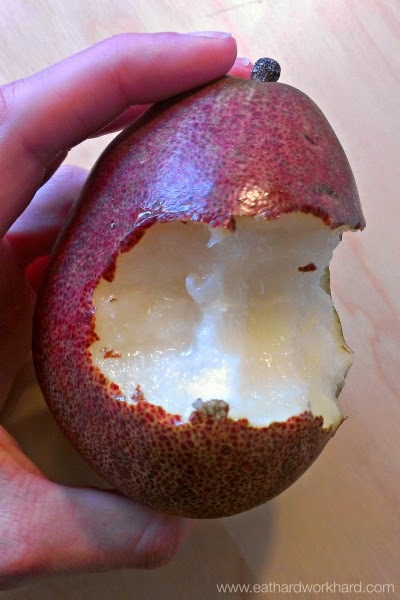 I like to finish my meal with something sweet, so I also ate a yummy red pear. 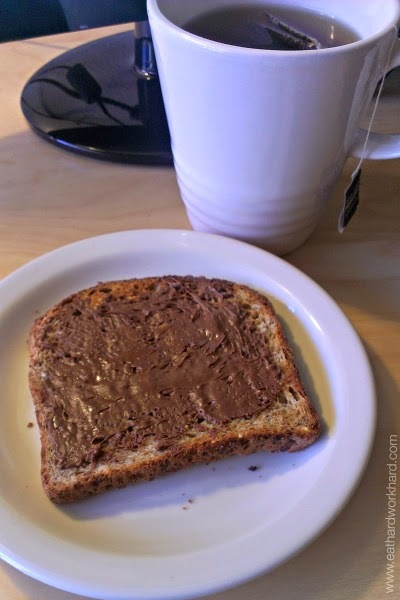 I was hungry again at 2:30 and craving chocolate, so I made a piece of sprouted wheat toast with Nutella and a cup of tea. I was starving and super tired after playing two hours of beach volleyball doubles (and winning!) so I started replacing the calories I burned as soon as possible. 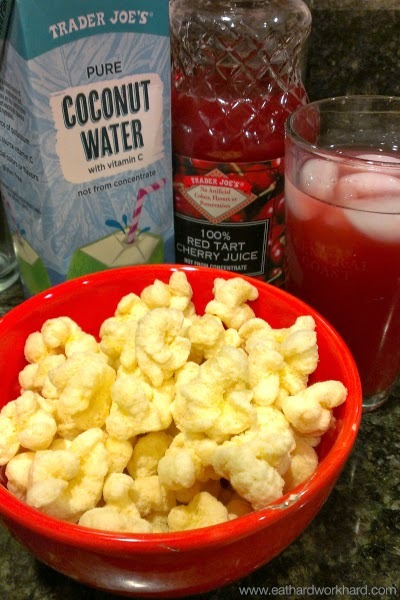 I made a recovery drink with coconut water for hydration and tart cherry juice for muscle recovery, and ate a bowl of Trader Joe's cheddar puffs for deliciousness. And carbs or something. After taking the edge off my hunger and finishing an episode of House of Cards with my housemates, I finally had my real dinner. 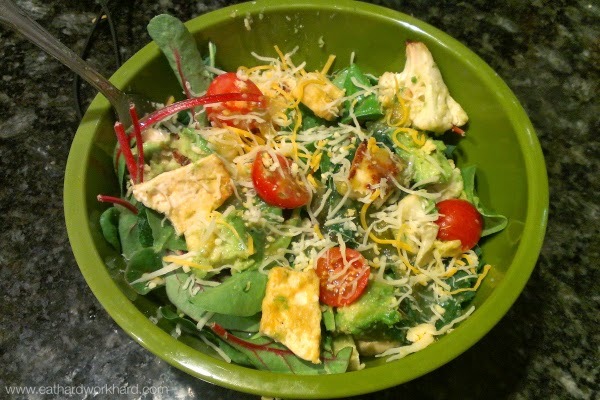 Another big tofu salad bowl, but this time I made it Mexican style with avocado, tomatoes, salsa, and shredded cheese. I've been late-night eating a lot, but I must have managed to stuff my face enough that I wasn't too tempted, and I just drank a bunch of club soda with lime before passing out around 11:30. Q: What did you eat yesterday? Any exciting new foods or impressively large quantities? I've started eating goji berries, along with making and drinking goji berry water. The goji berry is great for hydration, and protein, you should look into it. Ooh that sounds good! Thanks for the suggestion and for stopping by! 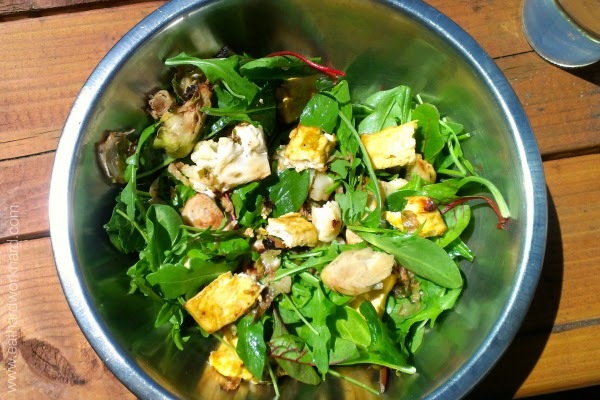 That salad looks so good and so does that toast with nutella! Nutella wouldn't last very long in this house which is why I don't buy it. I'd devour it too quickly. 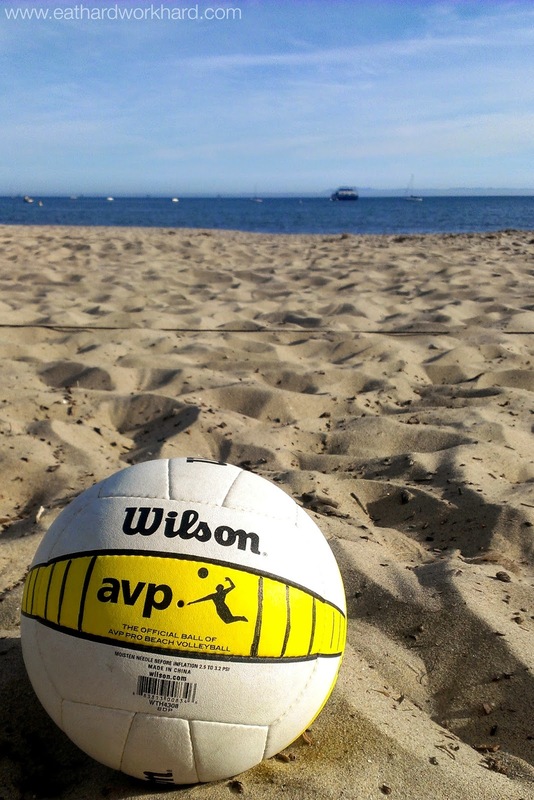 I love that you play beach volleyball. I have always wanted to be better at sports like that. I've never had TJ Chedder Puffs... so many things to try! They opened an Amsterdam Falafelshop across my apartment....of course I could not resist and went there yesterday. I wish I took a photo! Yea now that TJ's is my main grocery store I am trying lots of stuff! Oh man so jealous of your easy falafel access! Haven't found a good place here yet. 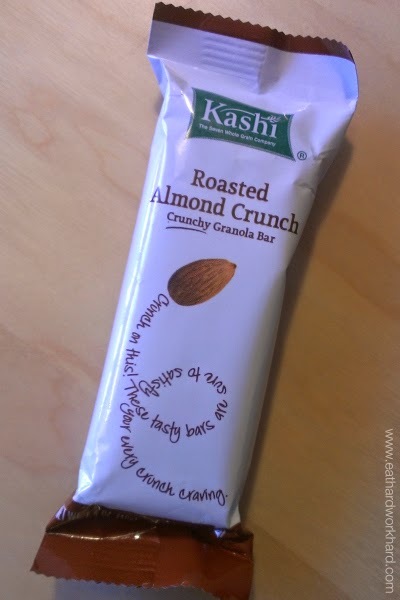 I bought Kashi bars about 2 weeks ago and they are still in my cabinet, me no likey LOL. I prefer FiberOne or Fiber Choice but I recently tried Kind bars and I'm really starting to like them. I never thought of putting Laughing Cow cheese on apples, peanut butter but not cheese. I will give it a try. Visiting from the #wowlinkup. Ahh feel free to send the extra bars my way hehe.I love Kind bars too, but they are so expensive! Thanks for stopping by and for hosting! wow what a great days worth of food. Love the apple and laughing cow idea and I'm addicted to nutella.